Settle-In is a responsive website for onboarding students to the MHCI program at Carnegie Mellon University. The app aims to make the transition to CMU a smooth one. The process of applying to grad school is stressful for any student. As incoming students to the university, my team and I went through this first hand. 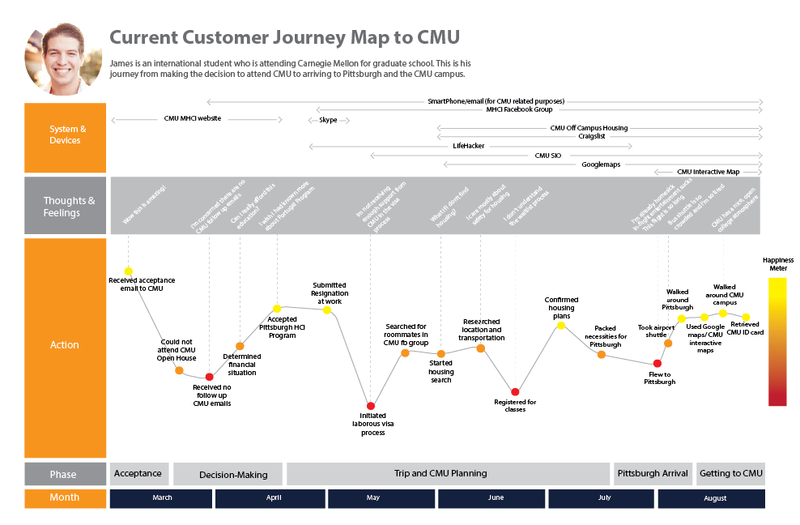 We wanted to see what could be done to ease the overall process from the time a student receives their admission to Carnegie Mellon till the time they reach the school. As a starting point, we interviewed students in the MHCI program and asked them about their experiences. 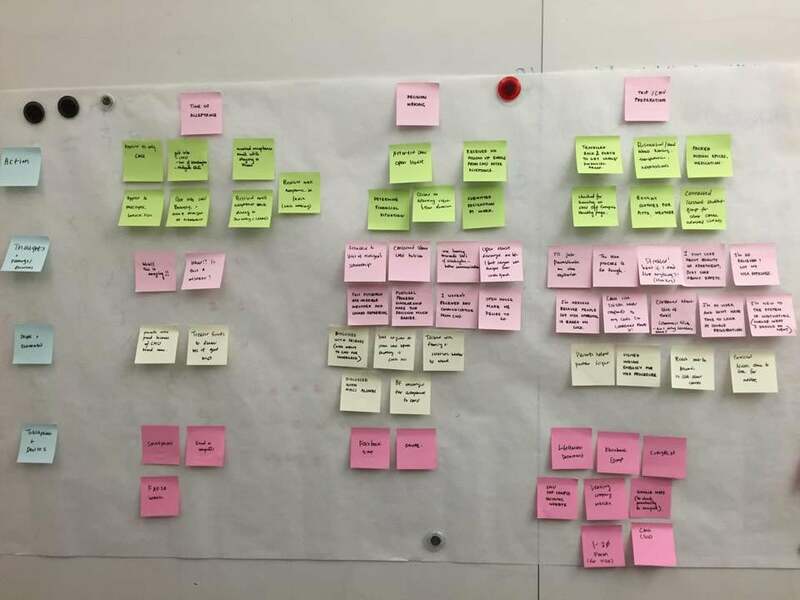 After our interviews, we prepared a rough customer journey map of their overall experience. We identified points in time where the students faced issues. We created a persona, James Griffin, who represented the population of students (mainly international students) we interviewed, and mapped their current and preferred journey. For the scope of our project, we decided to choose one particular low point in the journey map i.e. the visa-processing journey that international students go through. Majority of the visa application procedure lies outside the control of the university. To us, this seemed like an interesting challenge. We researched steps taken by the university to process the students documents. We went back to our interview notes and realised that there was an added layer of uncertainty in the process - students didn't receive any communication from the university during the one month wait for the I-20 document. We saw an opportunity here - knowing where the student was in the procedure and engaging in some form of communication would provide a sense of comfort. Our solution lets students track their I-20 status and adds a social layer to interact with classmates who are in the same stage of the process. Knowing that the student is not alone in the process would help ease his/her mind. We added a feature to connect to student representatives (alumni from CMU) from various countries who would help with any country specific visa questions they have. For responsive design, we used a Mobile­First approach and designed our first low fidelity mockups. After getting feedback on the the low fidelity mockups, we created the high fidelity prototype for the mobile and desktop versions of the website.